You knew it was bound to happen. Take one little girl with an affinity for purple and pink. Add a budding fascination with Minnie Mouse and Sofia the First. 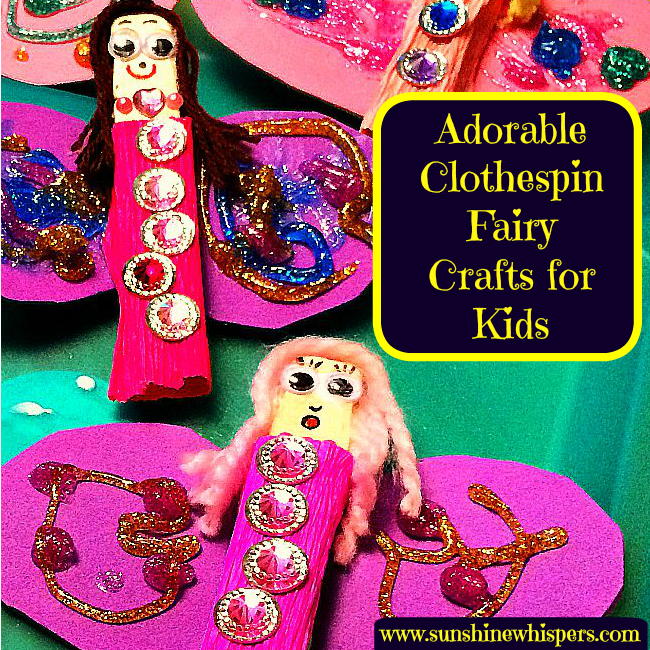 Eventually, you just have to make some of these adorable clothespin fairy crafts for kids. Sweet Pea and I had a blast making these cute little fairies. It was the perfect post-dinner craft for a weeknight, and Sweet Pea was able to make many of the ‘design’ decisions for her new babies. For a 2-3 year old, that is a ton of autonomy! 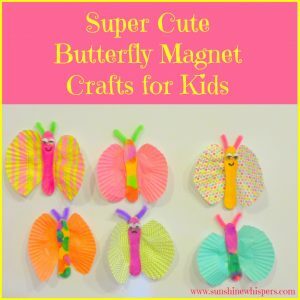 Read on to find out how to make these cuties! Even though Sweet Pea is still a little young to actually make the fairies on her own, by working together I was able to give her the opportunity to make a lot of the decorative decisions. For instance, she picked out the dress color, hair color, and jewel color for all the fairies. Pick out a color for the fairy dress. 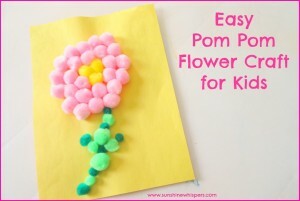 Cut out a small rectangle of crepe paper or fabric. It should be long enough to wrap around the clothespin, but not long enough to wrap around more than once. 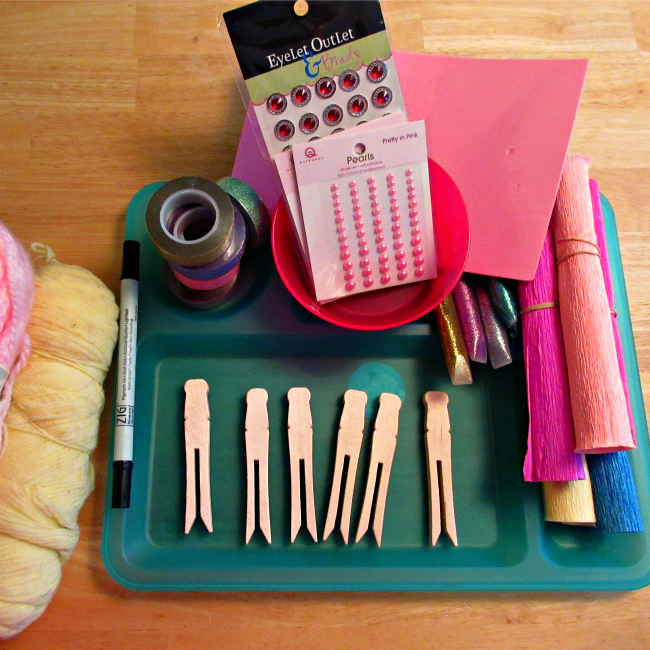 Lay the clothespin ‘face’ down on the paper or fabric. Wrap the ‘dress’ around the clothespin and glue it in the back. 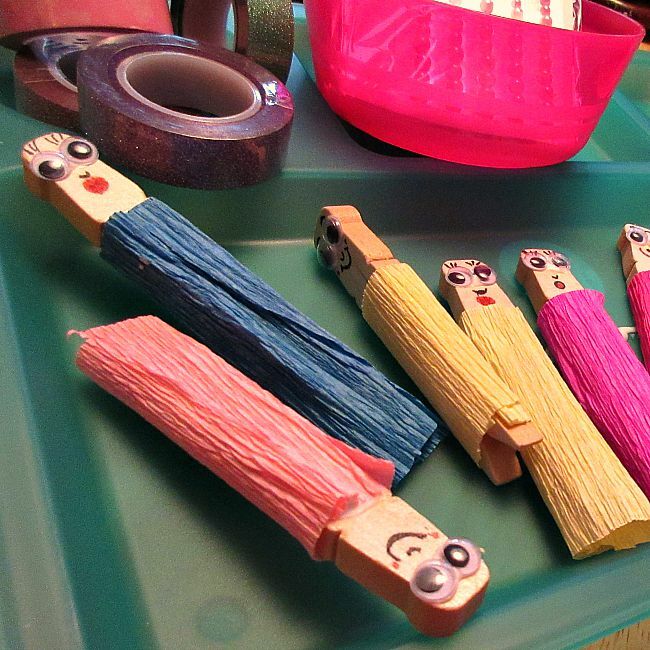 Glue the eyes to the clothespin head. It is easy enough to apply a thin strip of craft glue to the head. However, depending on the age of your child, they may or may not have the fine motor skills to stick the googly eyes on. Use the black and red sharpie/marker to draw the nose and mouth. It was also fun to put eyelashes on some of the fairies. Next up, the hair: Once your kid picks a hair color, cut a short bunch of yard, about 3-4″ long. It was easy to just grab about 7-8 strands of yarn and cut the bunch together. For gluing the hair on, I experimented with cutting the small pieces of ‘hair’ yarn in half to give the fairies a part. That was a disaster when it came time to glue the hair on. A much easier, and just as cute approach is to apply a thin layer of glue to the top of the fairy head. Then, take the entire length of the yarn bunch and stick it in the glue so that the ‘hair’ is even on both sides. Break out the jewel stickers or pearl stickers. Sweet Pea loved decorating the fairy dresses. We ended up with about 5 or 6 jewels on the dress. For added bling, we glued one of the jewels on top of the head as a hat/crown. 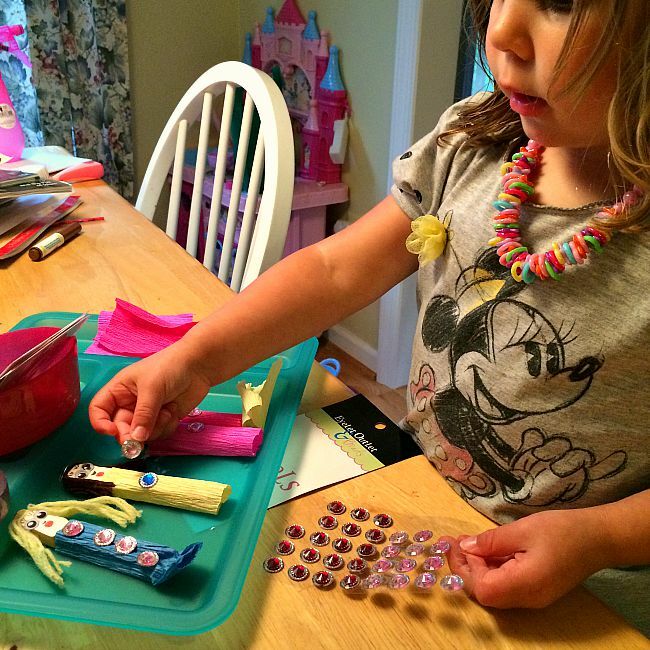 Then, we used even smaller jewel stickers to give the fairies necklaces. While your child is adorning the fairy dresses, cut out the wings. This is really just a heart shape. 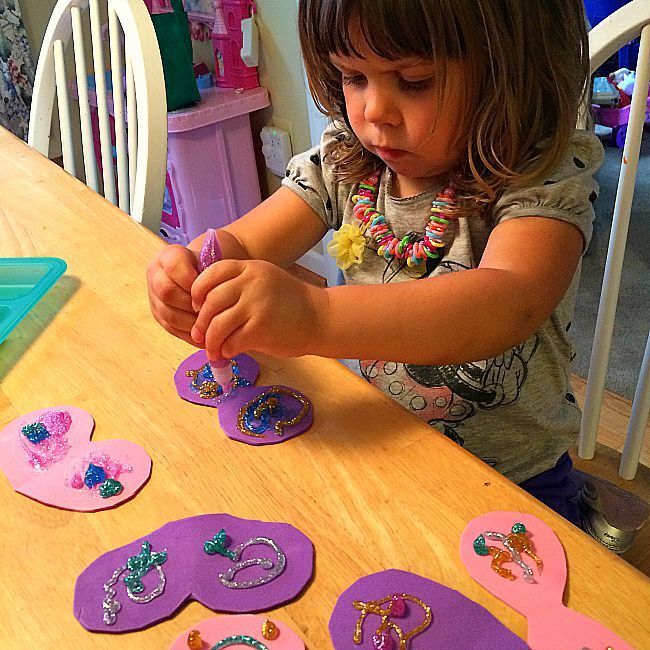 Let your child go wild with the glitter glue. I did decorate the fairy wings with Sweet Pea.. it was super fun. Also, that way I could ensure she didn’t squeeze an entire tube onto one wing. Once the wings are decorated, glue turn the heart upside down to form wings, and glue the fairy body to the center of the wings. 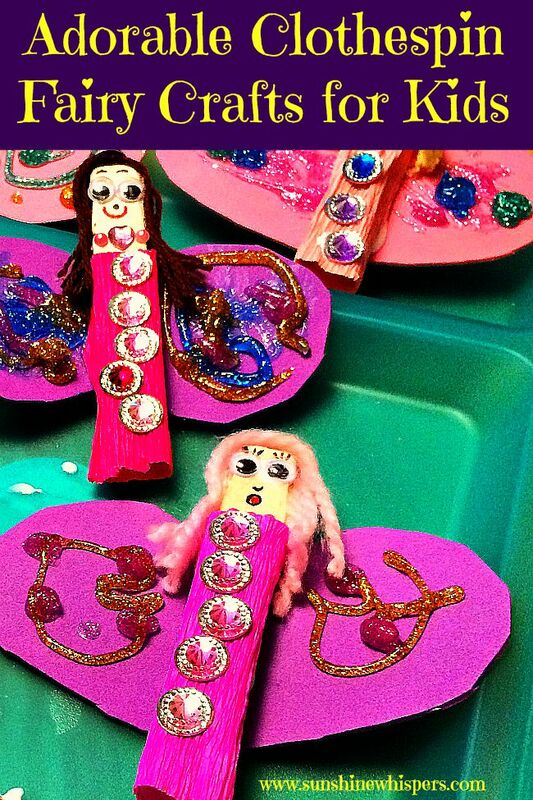 It will take a good day or two for the fairies to dry… depending on how thick the glitter glue decorations are. Didn’t they turn out cute?! Now I can’t wait to make and decorate fairy houses for these cuties. Then, my daughter will have a great handmade doll house. So adorable! 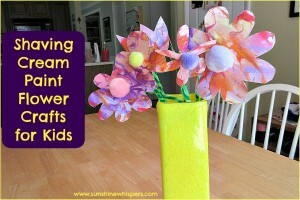 Would you like more ideas for great crafts for kids? Check out these posts as well!